We believe that lives are enriched with beautiful, healthy smiles. Maybe you want the smile of your dreams, lifelong dental health or solutions to long-standing problems, or maybe you'd like our industry-leading knowledge and expertise to keep your family healthy. Whatever your desire, we provide excellent, personalized care by compassionate people in a quiet and comfortable environment. If you're looking for these qualities in your dentist and team, we'd love to help. Discover the possibilities offered by Dr. Jim Otten. We offer something different – esthetic dentistry that honors your personality and your spirit, and celebrates everything that makes you an extraordinary person. Whether you are looking for your regular dental examination and cleaning, TMJ treatment or dental implants, when you turn to us you will discover beauty, comfort, function and longevity. Discover the possibilities offered by our dentist in Lawrence, Dr. Jim Otten. Beyond health, Dr. Otten practices dentistry that is more than science . . . it’s artistry. In the hands and vision of Dr. Otten, all dentistry is an art form, transforming any smile to one that is balanced and natural looking – and, above all else, healthy. 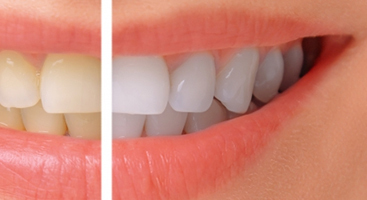 Your smile will be the blend of natural form and function as a result of our technical mastery. Each and every member of our team is dedicated to providing you with an outstanding, unparalleled health care experience. We provide the best care we know how – care that’s accurate and based on the latest, most advanced scientific knowledge. SERVING LAWRENCE, TOPEKA, KANSAS CITY AND PATIENTS WORLDWIDE! 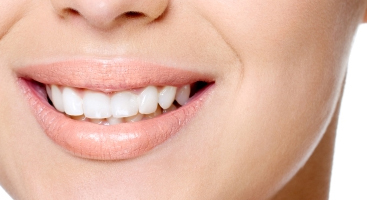 A straighter smile isn’t only important for looking better; it makes a difference in how you feel and how your teeth work too. Everyone in your family, from pre-schoolers to grandparents, can benefit from our advanced, personal dental care with a variety of examinations and treatments. Though I have only been to about three other dentist’s offices in my lifetime before Dr. Otten, they all had a “bandaid” approach to my care. Do a crown here, fix a filling there. They didn’t look at my overall health and see the big picture. I wanted a dentist that would consider all of the factors when dealing with my oral health. I had heard friends of mine talking about Dr. Otten’s practice and could sense the trust they had in him. I had been long-time friends with the Otten’s and decided that I wanted Jim to be my dentist. I definitely had higher expectations of Dr. Otten. He improved the look and functionality of my teeth as well as addressing questions I had about gum tissue and general oral health as I aged and my needs changed. While I had never been to a dentist I disliked, I had never been to one that I truly “liked” either. Then I met Dr. Otten and his team. They took a real interest in showing me how to make changes not just telling me I needed to. In other offices I felt like there was a script being recited to me, but at Dr. Otten’s I feel they took care of my specific needs as an individual. I feel like I made a good decision in choosing Dr. Otten because he not only practices dentistry but also teaches other dentists. Dr. Otten is passionate about what he does and that makes him a better dentist. I was confident he would do the work right.